Mike Ford was following his father into a life of crime, when he chose to go straight and instead worked his way through Harvard Law School. Now he's landed the ultimate job with the Davies Group, a powerful political consulting firm run by the charismatic Henry Davies. Rubbing shoulders with Washington's heavyweights and with more money and privileges than he's ever imagined, Mike believes that everything has finally come right. But he's about to discover that power comes with a price. Henry Davies is looking for a protege for a crucial deal and one that must go right no matter what. Mike soon learns that being on the side of the lawmakers doesn't mean your work is legal. And there's no place for a moral code when you're on the devil's payroll. 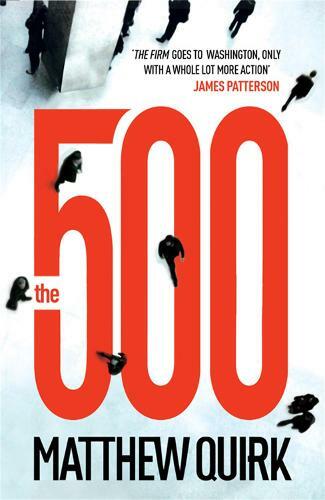 THE 500 is a fast-paced thriller that takes the reader on a journey through the corridors of power to the crack dens of Washington and the corrupt underbelly of American politics.